Today, as the global community grows more interconnected, we discuss — even encourage and accept — other cultures, ideas, religions, and ways of life, as we become more aware of our common human bond. This was envisioned over 120 years ago by Swami Vivekananda (1863-1902), a monk from India. Hardback, 11″x9 ½”. Pages 176. In 1893 Vivekananda brought the universal message of Vedanta to the West. He wanted to infuse the ancient, spiritual values of Vedanta into the dynamic, creative power of the West. He hoped the West would temper its materialism by learning from India, the home of ancient Vedic culture. In exchange, he wanted the West’s vitality to rub off on India, to help India shake off its lethargy. His life and teachings stand as a meeting point between East and West. This pictorial biography celebrates Vivekananda’s 150th birth anniversary and his universal message of Vedanta. 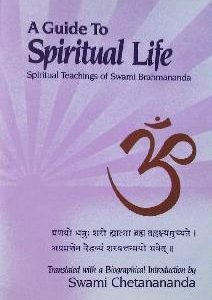 He reiterated the great Vedantic truth — “unity in diversity.” People, languages, cultures, customs, and religious beliefs may differ, but “human consciousness, human nature, and the aspiration for freedom are always the same.” Vivekananda called for the acceptance of universal truths common to all humanity; he called for the spiritual awakening of the world. His ability to communicate spiritual ideas in a practical, straightforward way has always appealed to Western minds; his universal message has enriched the spiritual lives of countless Westerners. 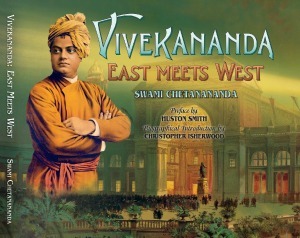 Vivekananda: East Meets West is an excellent survey of Vivekananda’s life and teachings and his encounter with many distinguished Western savants; it reveals where the eastern and western cultures and religions can find a common ground to live in harmony and derive benefit from each other; and finally it provides what the West needs badly today — pure spirituality devoid of narrowness and bigotry, commercialism and politics. Michlet wrote in The Bible of Humanity: “Man must rest, get his breath, refresh himself at the great living wells, which keep the freshness of the eternal.” This book fulfills that purpose. 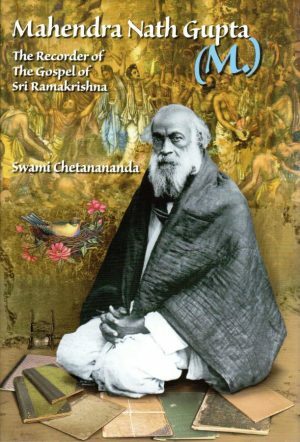 Swami Chetanananda is a monk of the Ramakrishna Order, India. Before coming to the United States he worked in the editorial and publication departments of Advaita Ashrama in Mayavati, Himalayas, and also at its Calcutta branch. He served as an assistant minister of the Vedanta Society of Southern California from 1971 to 1978 before taking his present position as the minister of the Vedanta Society of St. Louis. 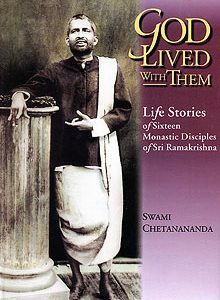 Among his many publications are: A Guide to Spiritual Life; Avadhuta Gita; Meditation and Its Methods; Ramakrishna and His Divine Play; Ramakrishna as We Saw Him; Ramakrishna: A Biography in Pictures; Sarada Devi: A Biography in Pictures; They Lived With God; God Lived with Them; How to Live with God; How a Shepherd Boy Became a Saint; Spiritual Treasures; Vedanta: Voice of Freedom; Girish Chandra Ghosh; and Mahendra Nath Gupta (M.). Front Cover: A photo illustration using Swami Vivekananda’s portrait from a poster printed by Goes Lithographing Company in 1893. The swami delivered his epoch making speech on the universal message of Hinduism at the Columbian Exposition’s Parliament of Religions in Chicago on 11 September 1893.